Anglo Pacific Group PLC (“Anglo Pacific”, the “Company”, the “Group”) (LSE: APF) (TSX: APY) is pleased to announce interim results for the six months ended June 30, 2017 which are available on both the Group’s website at www.anglopacificgroup.com and on SEDAR at www.SEDAR.com. Words with this symbol * are defined as Alternative Performance Measures. For more information on the APMs used by the Group, including definitions, please refer to the Alternative Performance Measures section of the notes to editors on page 3. 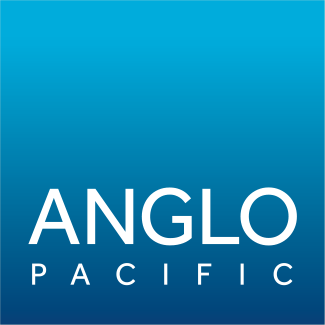 “Anglo Pacific has had a very strong start to 2017, which has seen us add to our portfolio with the Denison financing arrangement, report significant further increases in royalty revenue, and become debt free. This gave us the confidence to implement the payment of our dividend on a quarterly basis, to match the timing of our quarterly revenue, and also to accelerate the timing of dividend payments post declaration. Mining at Kestrel is now firmly back to within the Group’s private royalty land. It is pleasing to see that this increased volume in mined coal that is subject to the Group’s royalty has coincided with a strong rebound in the coking coal price. This, along with the contribution from the rest of the portfolio and the recent Denison financing arrangement, has seen us post a doubling of income over the last two years and a similar outcome is expected this year. There will be an analyst presentation www.anglopacificgroup.com today at the offices of Redleaf Communications, First Floor, 4 London Wall Buildings, Blomfield Street, London, EC2M 5NT. The presentation will be hosted by Julian Treger (CEO), Kevin Flynn (CFO) and Juan Alvarez (Head of Investments). If you would like to attend please email anlgopacific@redleafpr.com.